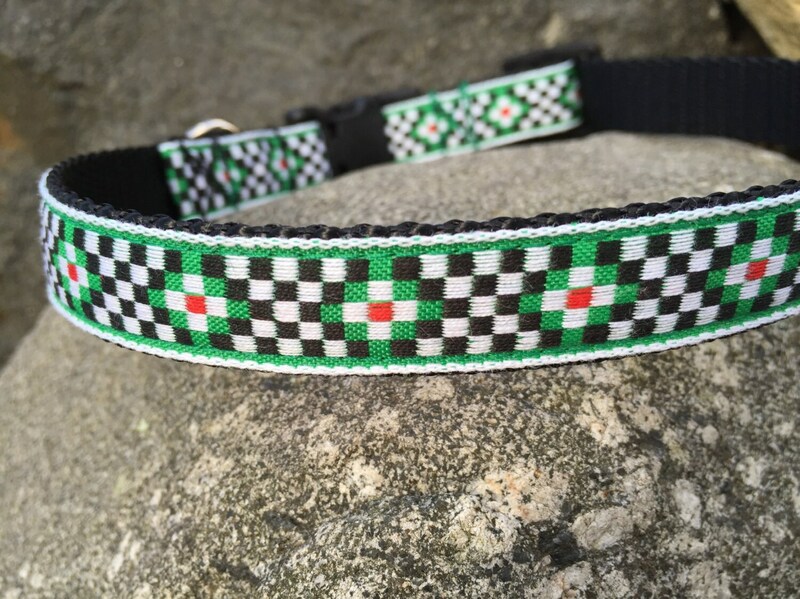 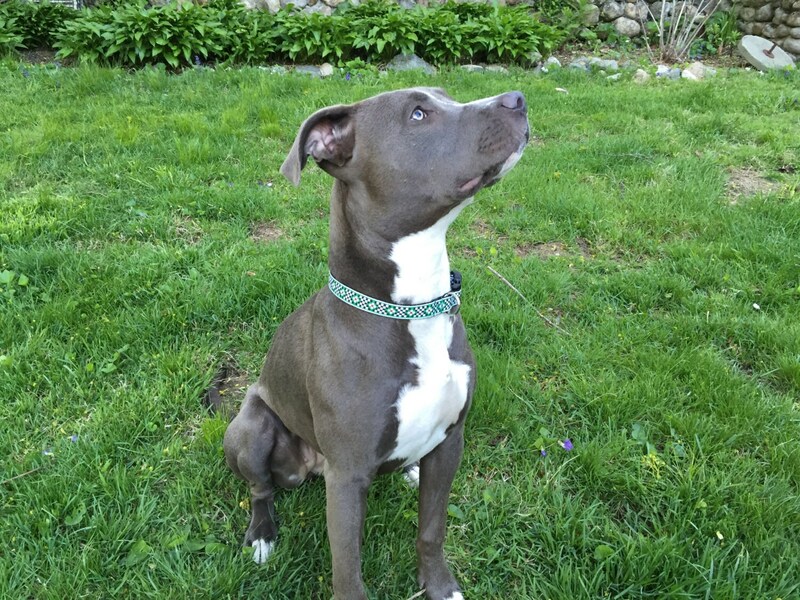 Brightly colored geometric patterned jacquard ribbon decorates this adjustable Medium sized dog collar. 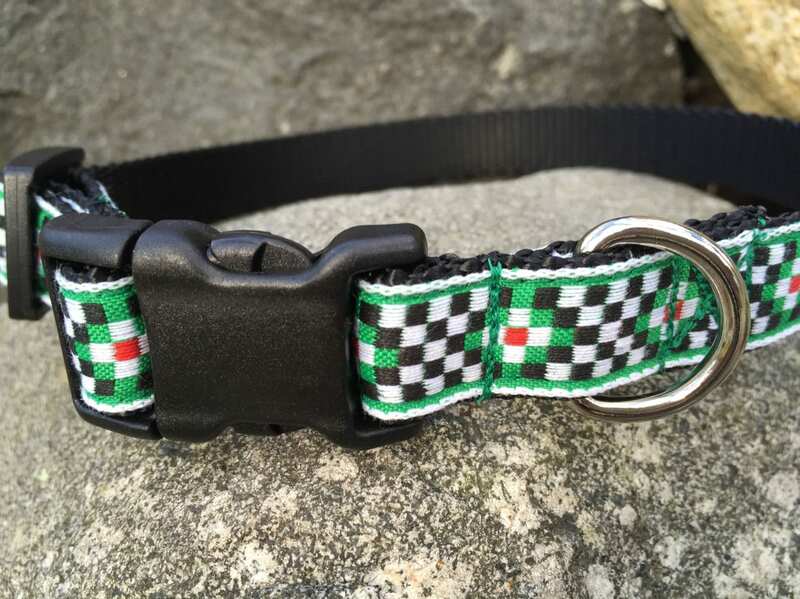 Heavy cotton green and black check Jacquard ribbon is sewn onto strong 3/4 inch wide black nylon webbing. 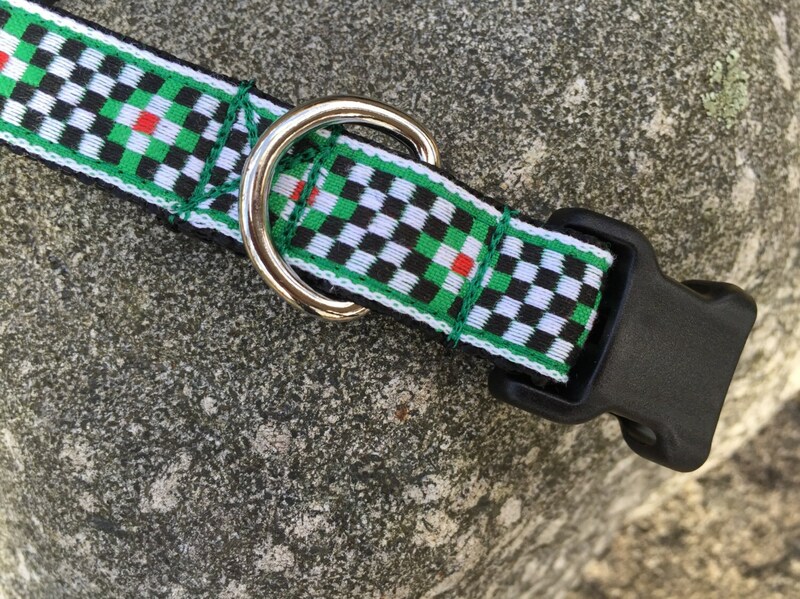 Nylon ends are melted to prevent fraying. 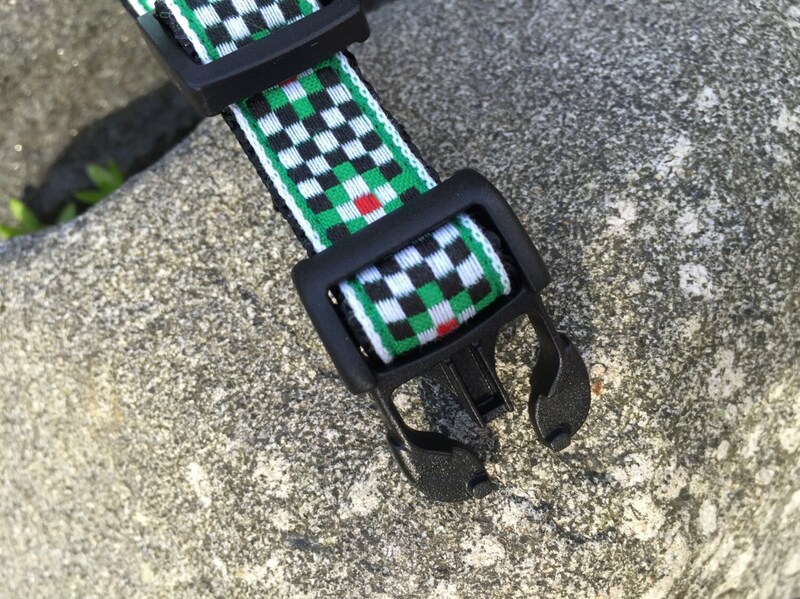 Collar opens and shuts with contoured side release buckle and is adjustable up to 18 inches using the adjustable triglide slide.